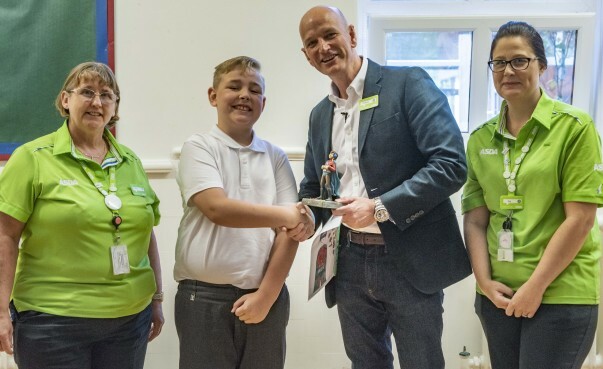 A big well done to nine-year-old Stephen Hewitt who won our World Book Day competition to create a new superhero – and has seen his Autismo Boy character brought to life. 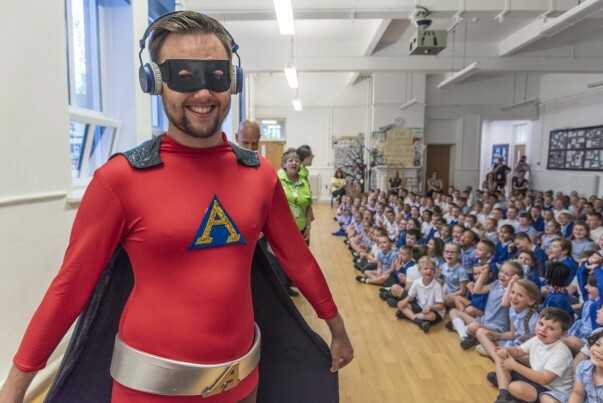 Our community champions volunteer with hundreds of local schools, and in March they asked children to write a story about a superhero from their imagination. 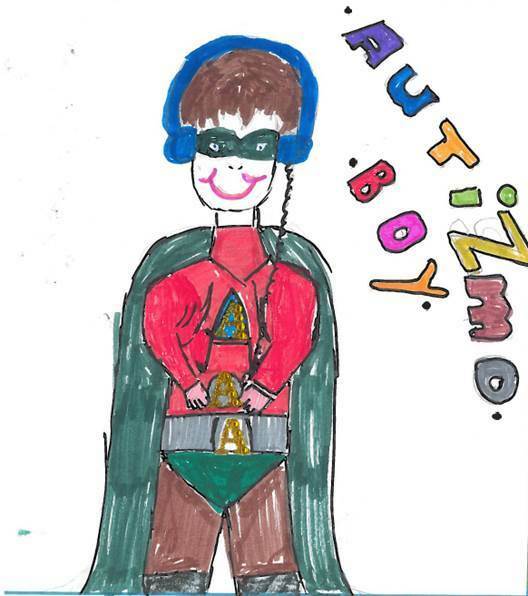 In his entry, Stephen drew a picture of Autismo Boy and wrote: "Autismo Boy is a young autistic super hero who turned his disability into a super power and now travels the world teaching other children how to turn their disabilities into powers too! And fight off bullies and prejudice, as we go on a journey of learning and adventures in the tales of Autismo Boy. "Facts and abilities; he is 14 years old, he has a photographic memory, he wears headphones for his super sensitive hearing, he has super vision allowing him to see further than a telescope, Autismo Boy has super intelligence." 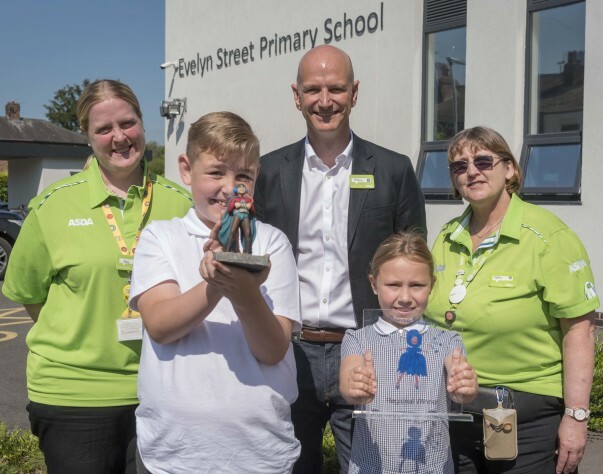 His character was chosen as the winner from all the entries and Stephen, who goes to Evelyn Street Primary School in Warrington, received a model of Autismo Boy, a certificate and a signed David Walliams book from our retail director Anthony Hemmerdinger. Michael Taylor from our Warrington store dressed up as Autismo Boy and delighted the pupils by appearing during assembly. Also congratulating Stephen were our Warrington store's community champion Liz Cotterill, who's volunteered at the school for several years, our Westbrook store's community champion Cathy Robinson and Birchwood store community champion Beky Wakefield. Anthony said: "We had hundreds of children from up and down the country enter the competition. We had to pick one overall winner, and that winner was a story about a character called Autismo Boy which was written by Stephen." Stephen said: "I was very shocked when I found out I'd won, and I felt like I was going to cry, which is not like me." Anthony also presented the regional winner, seven-year-old Daisy Glover, with a trophy after she came up with a story about a character called Princess Blueberry. Liz said: "It was a wonderful day, it was fab to see the winners and great to see Michael dressed up as Autismo Boy! Congratulations to all the prize winners."